Can Malaysia's rise to regional education hub continue further? You are here: Home » Analysis » Can US and Europe geopolitical trends bolster Malaysia’s rise to education hub? Can US and Europe geopolitical trends bolster Malaysia’s rise to education hub? Posted in Analysis, under Asia. Tagged with ELS, EMGS, Malaysia, University of Nottingham Malaysia Campus. Among all the countries clamouring to become international education hubs, few have leaders voicing their ambitions as loudly as Malaysia’s higher education minister, Idris Jusoh. Beckie is a London-based journalist who reports on research policy and international education. She has a degree in Japanese from the University of Leeds and lived in Kyoto for a year. She is addicted to Spotify and can often be found debating feminism and politics or looking for London's best gin cocktails. Schools’ growth shot up from less than one per cent in 2002 to 15 per cent in 2013. There were 71,589 pupils enrolled in 170 English-medium international schools as of the beginning of 2017, according to ISC Research data. In a op-ed for the New Straits Times, Idris wrote that a challenging global economy and changes in geopolitical trends in the US and Europe are pushing international students to look at studying elsewhere. “I believe this is an opportune time for Malaysia to further promote and capitalise on its strengths in higher education to attract more international students,” he wrote. His message was simple: when it comes to competing in the global education ring, Malaysia boleh – Malaysia can. In 2015, the country upped its target of hosting 200,000 international students by 2020 to 250,000 by 2025. By the end of 2016, that figure had reached 172,886. The number consisted of cost-conscious students from Asia Pacific, the Middle East and south Asia, according to Idris. “It’s probably the softest landing into Asia besides Singapore, but Singapore is horrendously expensive,” explains Jan Drew. Her company The Global Student organises study tours, field trips, volunteer placements and internship programs throughout southeast Asia. “English is widely spoken, accommodation is affordable and it’s an incredible experience,” she says of Malaysia. Initiatives like the New Colombo Plan funds study and work opportunities for Australian students in the surrounding Asia Pacific. 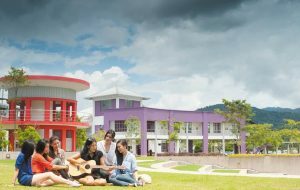 Despite The Global Student seeing increased demand for its six to 11-week programs among Australians, realistically, large numbers of Australian students aren’t going to leave behind a world-class university system to take up a degree in Malaysia. 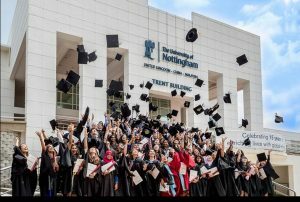 Cultural similarities means Asia is the big market for Malaysia’s higher education says Govindan Nair, director of the international office at the University of Nottingham Malaysia Campus, established in 2000 in Selangor, near Kuala Lumpur. Parents see Malaysia as an undergraduate destination for their children, who may then progress to postgraduate degrees in the US or UK, while it may also provide a familiar environment for students from countries in the Middle East, Nair added. Fees and living costs in Malaysia are much lower than more established study destinations. Travel costs for students from surrounding countries are also considerably less than for further-flung destinations. Language school, ELS has flourished partly because it is a US brand operating in a brand-conscious market. Students priced out of studying in the US are attracted to the company, explains Sean Chee, director of ELS Malaysia. Malaysia’s affordability is also a reason why transnational education has flourished in the country. A Western degree carries high prestige in a country where many of the elite were educated overseas – the prime minister is a University of Nottingham alumnus. However, the devaluation of the ringgit over the last few years has rendered an overseas education unaffordable for many. 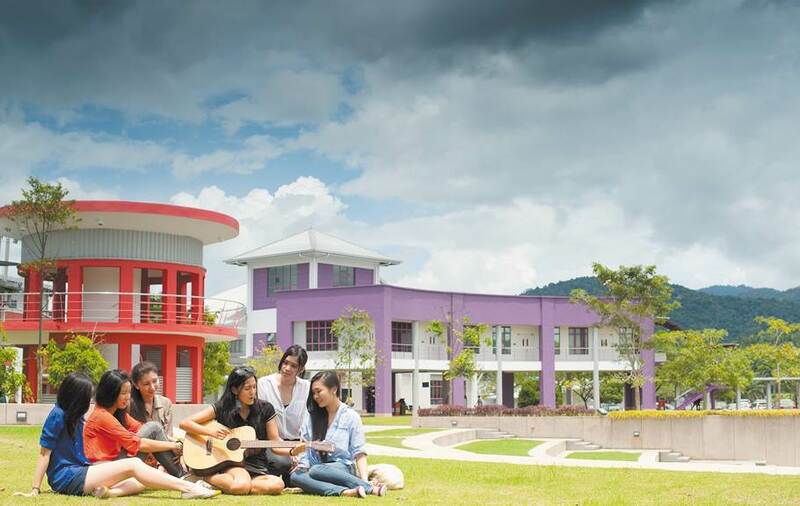 Foreign universities mostly from the UK and Australia now operate campuses in Malaysia. Students can get the same degree certificate that they would in these countries but for 40 to 60 per cent less than what it would cost to study there, notes Nair. Private universities, like Taylor’s University, have partnered with foreign institutions to provide dual-degree certificates. Its institutional partners include the University of the West of England and the Université de Toulouse in France. 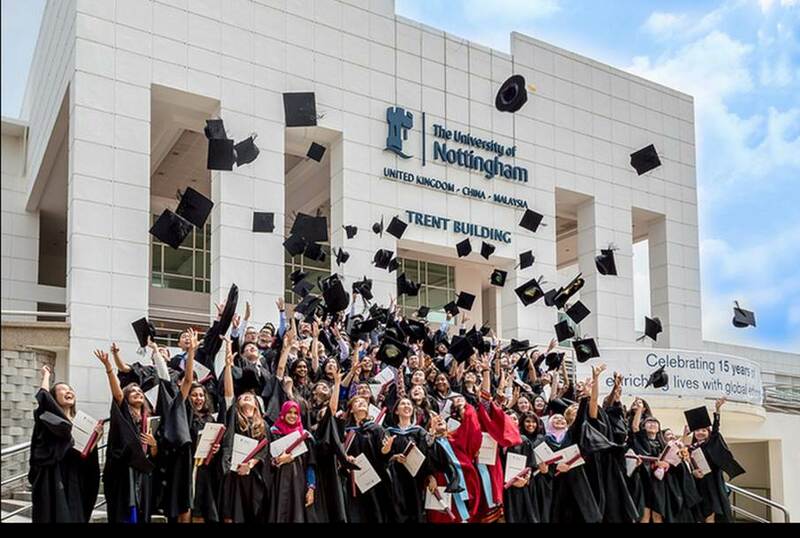 “One of the reasons I think Malaysia’s become such a regional hub is because it’s been open to these TNE relationships,” explains Perry Hobson, pro vice-chancellor for global engagement at Taylor’s, where around 20 per cent of enrolments come from overseas. Private universities – including branch campuses – are exempt from a five per cent cap on international students at the undergraduate level levied on their public counterparts. However, in November 2017 the Malaysian minister for higher education, Datuk Seri Idris Jusoh, called a halt to any prospective plans to build new university campuses in the country. Funding cuts have forced public universities to look for alternative sources of income – “whether it’s commercialisation of their research, whether it’s international students” – notes Kamila Binti Ghazali, associate vice-chancellor international at the University of Malaya, the country’s oldest public university. But to market themselves to international students, universities have to demonstrate their qualifications will be portable, she says. “We need to show them that our programs are of quality and we have numerous international accreditation to show for it,” she says. Many of the institution’s programs are accredited by overseas bodies as well as the Malaysian Qualifications Authority. With external factors like funding and rankings driving internationalisation, “public universities are now more aggressive in carrying out international student recruitment,” adds Edwin Tay, CEO of university search portal EasyUni. “Administrators of public universities have also begun to value diversity as a means to attract better quality students,” he notes. Pathway agreements have been active in Malaysia for some time. ELS Malaysia, for example, provides pathways for around 20 private universities, with the first opening in 2005. However, it wasn’t until 2011 that ELS opened its first on-campus centre at a public university, Universiti Putra Malaysia. Establishing the centre was a long process, requiring government approval, but was pushed ahead by the university’s “drive to have English competent students and graduates to fuel the workforce”, Chee says. Providers in Malaysia understand the importance of English competency for graduates in a globalised job market, according to Chee. “Students need more reasons to learn English [than just for the sake of learning it] nowadays,” he says, observing that Malaysian students know that proficient English will help obtain a foreign university degree onshore or abroad. The international school sector has been booming. A report by Shanghai-based Emerging Strategy in 2016 pegged Malaysia and the UAE as the most favourable markets for international school development. The government has implemented policy changes to foster the sector, such as removing limits on foreign ownership, introducing tax incentives and removing enrolment caps on local students. As a result, schools’ growth shot up from less than one per cent in 2002 to 15 per cent in 2013. There were 71,589 pupils enrolled in 170 English-medium international schools as of the beginning of 2017, according to ISC Research data. In fact, the number of schools has grown so great that “there are already too many,” opines Ian Grout, head of economics and business at the Prince of Wales Island International School in Penang. The “overwhelming majority” of pupils at the school go on to higher education outside Malaysia – mostly to the UK then the US, Canada and Australia, says Grout. More than a quarter of the school’s 450 students are from overseas, mostly from within Asia, he adds. Amid sector growth however, the Education Ministry is now making strategic decisions regarding which schools it allows to open. Launching a new campus for Straits International School in Penang, deputy education minister P. Kamalanathan said the ministry wants more foreign investment in schools outside of the already highly-populated Greater Kuala Lumpur and Klang Valley areas. An ostensibly favourable policy environment, vocal government advocacy and a foolproof combination of quality and affordability seem to have set Malaysia up for a winning streak. However, international student recruitment is not without hindrance. Until just a few years ago, the student visa process was considered to be relatively seamless, with students even able to apply onshore. In 2012, radical changes were announced to tackle what was believed to be widespread abuse of the student visa system as a back door for cheap labour. As a result, Education Malaysia Global Services was established to take over visa processing in 2013. But the semi-government agency was not altogether welcomed by the sector. The overhauled and much-bolstered visa system was initially beset by confusion and delays. The rigorous and document-intensive process could take anything from three to six months in the first phase, relates Nair. Student numbers nosedived, as education institutions, ill-prepared themselves, were unable to offer much guidance to prospective students on how best to navigate the new system. Luckily, some of the more intricate quirks of the application – such as the specified background colour of the ID photos students submitted – have since been ironed out. The new system was implemented first for the private sector before being rolled out to public universities, but private institutions “really had to bear the brunt” of the delays, says Nair. In the years since it launched, EMGS has streamlined visa applications, shifting the entire process online and even rolling out an app that allows students to track the status of their application. The agency is now beginning to hit its target of having visas processed within 14 days, according to EMGS COO Novie Tajuddin. But obtaining a visa to come to Malaysia on an exchange program can still be an onerous process. Students are required to undertake medical exams at approved centres – along with a malaria screening for all but a handful of exempt countries – both before and after arrival. “These are the sorts of things that have become real barriers,” comments Hobson at Taylor’s, who said that just 40 of the 73 exchange students who had places at the university in its latest intake actually made it to Malaysia. Another frustrating regulation is that a student’s visa is tied to their institution of study. A degree-seeking student is therefore unable to pick up English classes at a language school during holidays. More recently in 2017, EMGS announced it would collaborate with other government institutions to provide pre-screening for all student visa applicants to target visa fraud in response to growing concerns over terrorism in Malaysia. If Malaysia is to truly realise its ambition of becoming a global hub for international education, the next hurdle it must overcome is barriers to practical work experience. Internships are difficult to secure unless a student’s course of study requires one. Meanwhile, part-time work is not allowed during term time and restricted to 20 hours per week during holidays and semester breaks. “We do realise that having more opportunities for undergraduate employment would increase our competitiveness,” concedes Tajuddin at EMGS. Change may be possible in the future, he says, but these decisions are made by a host of government bodies: the Ministry of Foreign Affairs, the Ministry of Education and the Ministry of Higher Education. They need to balance national security while also prioritising the needs of Malaysian workers. But despite the remaining challenges and the country’s relative youth as a major player in the international education field, Malaysia has redefined its position in recent years to a level worthy of its leaders’ public promotion. This is an abridged version of an article that originally appeared in The PIE Review, our quarterly print publication.